Regarding yoga anatomy, are the “core” and the abdominals the same thing? 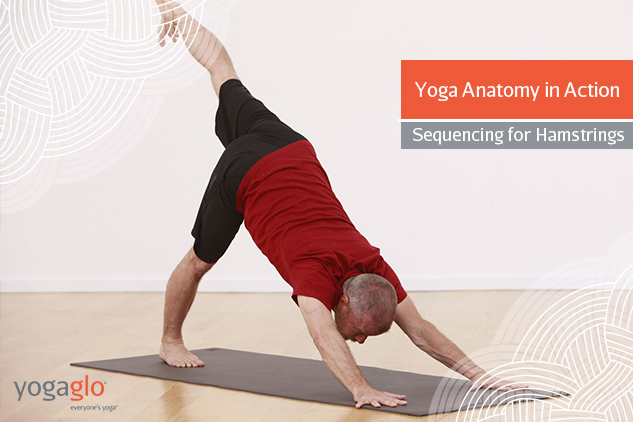 Do you have a sequence that will help me strengthen all of my core muscles? The word “core” evokes mixed feelings. Most people feel insecure about their center because they think it’s too big and too weak. Yet, students get excited about the prospects of strengthening their core—and, perhaps, shrinking their waistline. After all, a strong, healthy core supports the spine, facilitates skillfull movement, and makes yoga postures more efficient. Unfortunately, the word “core” can be confusing. You won’t see “core” listed in the glossary of any traditional anatomy textbook, and it’s often reduced to being synonymous with the abdominals. Here’s a closer look at the essential anatomy of your core, and a core yoga sequence for you to explore. No, the “core” and the abdominals are not the same thing. 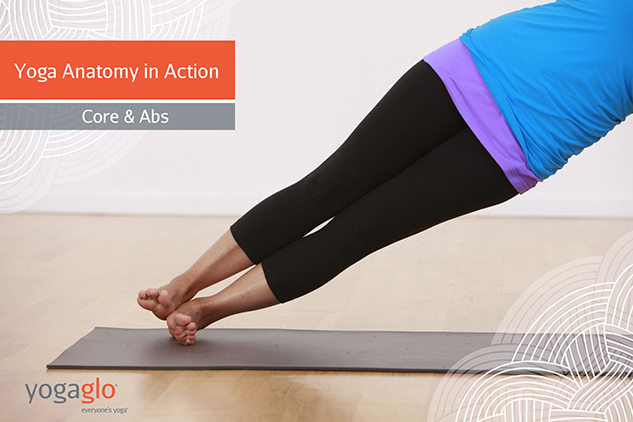 The abdominals are just part of the core, not its entirety. To understand what constitutes the core, it’s easiest to look at its components. The Pelvic floor muscles: the floor of the core. These muscles line the bottom of your pelvic and support your abdominal organs. The Abdominals: The walls of the core. This group of muscles (transversus abdominis, rectus abdominis, internal oblique, external oblique, and quadratus lumborum) wrap around the circumference of your midsection. The Illiopsoas: The core of the core. Nothing is more central—more “core” than the illiopsoas. The Paraspinal muscles: The back of the core. These muscles run next to the spine and roughly parallel to it. The diaphragm: The roof of the core. We don’t often include the diaphragm in the discussion of core—but we should. This is the dominant muscle involved in respiration and forms the geographic top of the core. When I teach core workshops and trainings, I also discuss what I call “the access points” to the core, which include the inner-leg muscles (adductors) and arches of the feet. When engaged, these muscles help us engage our core muscles. I also discuss the “complements to core” which include the hamstrings, gluteals and posterior hip muscles. This simple, quick, reclined core strengthening sequence will help you access your entire core and focus on its individual components. Lay on your back with your feet together and your knees separated. 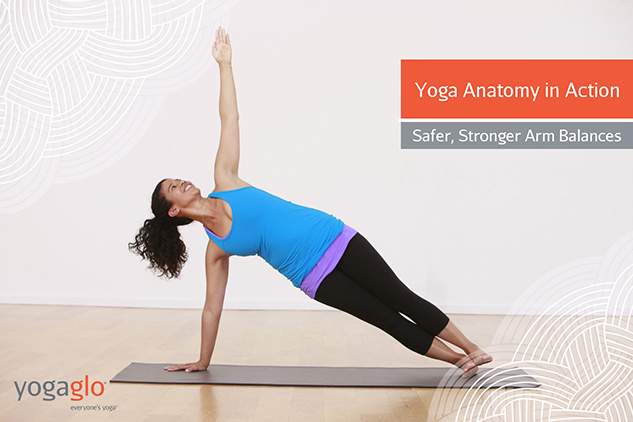 You can support the outside of your thighs with blocks or forego the prop. As you inhale, direct your inhalation toward your pelvic floor and allow the muscles to relax. As you exhale, imagine that you’re narrowing the pelvic floor and drawing its center higher into your body. Repeat this for a few minutes until you have a clear sense of how to engage and release these muscles. Lay on your back with your knees bent and feet on the floor. Place a block between your thighs. Firmly squeeze the block with your inner-legs and feel your adductors engage. Continue to squeeze the block and lift your feet 1 or 2 inches off the floor. Maintain the natural curve of your lower back as you hover your feet slightly above the ground. The muscles that are lifting your feel are your hip-flexors, especially your illiopsoas. Lay on your back and reach your hands toward the ceiling. Lift your head and chest off the floor and draw your knees toward your outer arms. Imagine you’re doing bakasana (crow/crane) pose on your back and feel your abdominals in action—these are your rectus abdominis and transversis abdominis. Lay on your back and reach your hands toward the ceiling. Lift your upper body off the floor and reach both arms past your left knee. Imagine you’re doing side-crow/crane on your back. In addition to using the same muscles as the previous pose, you’ll also be using your obliques. Lay face down on the floor. Lift your head, chest, shoulders and arms. Draw your shoulder-blades down your back and reach your fingers toward your feet. Lengthen and raise your legs. Feel your paraspinal muscles firing to maintain the lift of your upper-body. From plank posture, step your right hand slightly forward. Your wrist will be slightly in front of your shoulder, not directly below it. Roll to the outside of your left foot and stack your right leg on top of your left leg. Lift your hips as high as they will go. You will be using your quadratus lumborum and obliques to lift your hips and keep them raised in the posture.